Graduating from the University of Florida, where he switched his major from herpetology to photography, he went on to photograph the march of Dr. Martin Luther King from Selma, Alabama to Montgomery for EBONY magazine. He then went on to cover other civil rights marches. 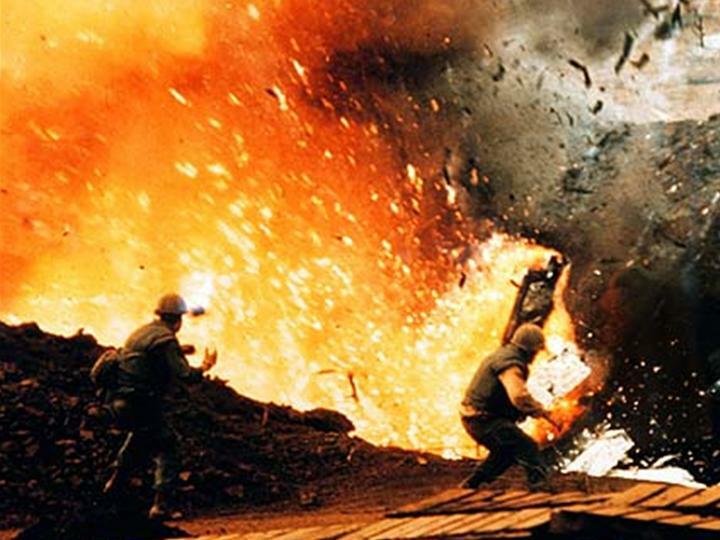 Ellison arrived in Vietnam for the 1968 Tet offensive, and bribed his way onto a helicopter headed for Khe Sanh with a case of beer and a box of cigars. A month after Ellison's C-123 cargo plane was shot down, attempting to take off from Khe Sanh, Dr. King was assassinated. EBONY eulogized both men in an editorial describing Ellison as "the young white photographer who lived free of prejudice, full of understanding and respectful of the rights of men." Published after he died, Ellison's NEWSWEEK photographs posthumously won him the Overseas Press Club's award for best coverage from abroad. Bob Ellison and the Marines on that fatal flight are buried in a mass grave in a military cemetery in Missouri. Robert J. Ellison was only 22 years old when he arrived in Vietnam in 1968. As the only surviving son of a soldier killed in World War II, he was exempt from military service in Vietnam. Despite this, he felt compelled to photograph the story of American soldiers serving there. The larger portion of this exhibition is devoted to showing his compelling photographs of soldiers, sailors, Marines, and airmen serving in Khe Sanh. A smaller number of his photos show his earlier photographs of the Civil Rights movement in the southern United States. Ellison was one of 200,000 people who heard Dr. Martin Luther King, Jr. give his famous I Have a Dream speech in Washington, D.C., and Dr. King’s stirring words motivated Ellison to take an active role in the Civil Rights Movement. His concern for civil rights continued during his time in Vietnam. In his letters home, he often discussed African American issues and the difficulties faced by African American troops in combat zones. Rob's father, Lieut. 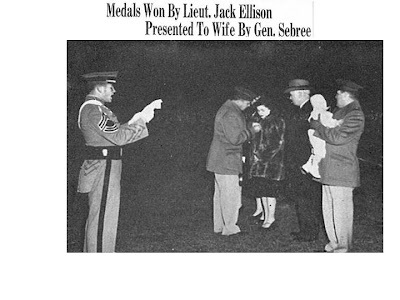 Jack Ellison was killed in WW II. The is a picture of Rob as a baby with his mother receiving the medals won by his father.